Increase your range of motion, explosiveness, and workout arsenal with the Camber Bar from Titan Fitness. 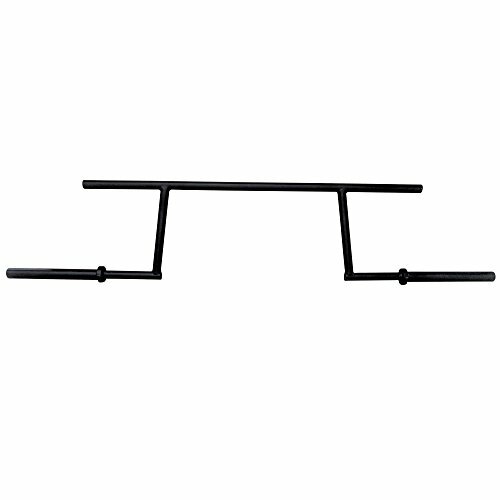 - This specialty bar is rack-able on standard power racks, squat stands, or wall mount rigs. - Increases intensity and focus to your hamstrings and lower back, as the camber bar allows you to stay vertical to get deeper in your squats. - Great for squats, box squats, and good mornings to develop explosiveness in your posterior chain. This specialty bar is rack-able on standard power racks, squat stands, or wall mount rigs. Increases intensity and focus to your hamstrings and lower back, as the camber bar allows you to stay vertical to get deeper in your squats. Great for squats, box squats, and good mornings to develop explosiveness in your posterior chain.